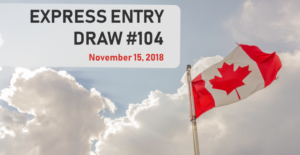 The government of Canada has released the Rare Thursday express entry draw held on November 15 with the minimum comprehensive ranking system (CRS) score 449. 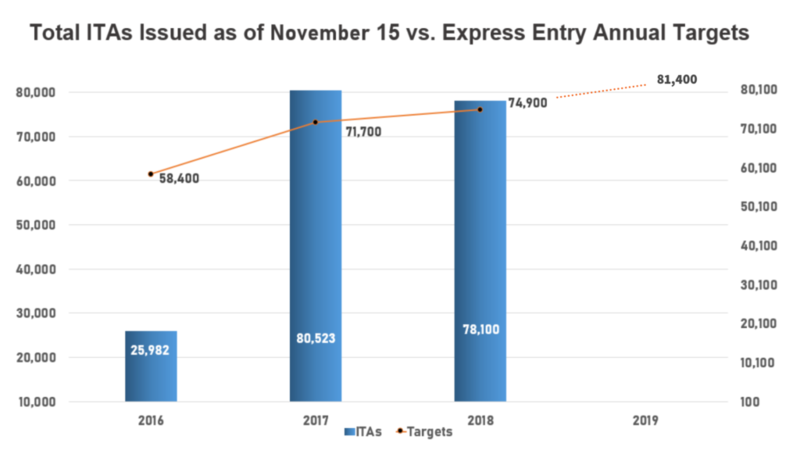 A total of 3,900 invitations to apply or ITAs were issued by Immigration, Refugees and citizenship Canada (IRCC) to those candidates whose score was equal or more than the minimum comprehensive ranking system score(CRS) in this express entry draw. 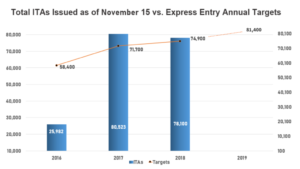 This round has brought the number of invitations issued by immigration, Refugees and Citizenship Canada (IRCC) in 2018 to 78,100. This total number of invitations is 8,000 less than the total annual record of invitations in 2017. 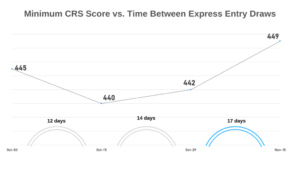 Express Entry is a program that is designed to select a skilled worker who wants to migrate to Canada on a Canada PR visa. It is a completely electronic program that manages applications of candidates who want to migrate to Canada as a Permanent Residence of Canada. 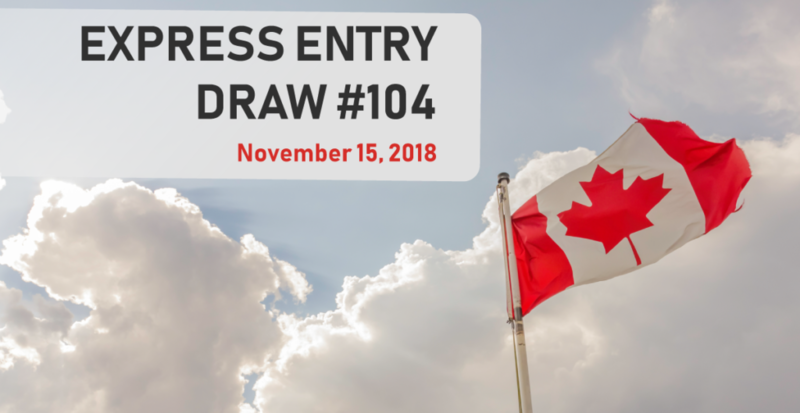 Candidates who are eligible are given a score under the Comprehensive Ranking System (CRS) that determines their position in the Express Entry pool, and a set number of the highest-ranked are issued an Invitation to Apply (ITA) through regular draws from the pool. 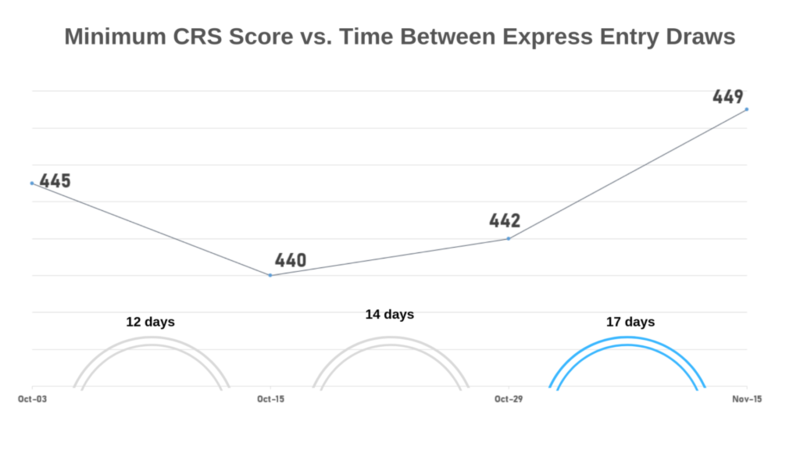 The previous express entry draw was held on October 29 with a CRS of 442 which is 7 less than this rare Thursday Express Entry Draw. There are many other ways to migrate to Canada apart from Express Entry Program like PNP. The government of Canada has introduced a program that is the Provincial Nominee Program (PNP). Through Canadian PNP or provincial nominee program (PNP), all the provinces and territories (except for Quebec) can select skilled candidates. Know About: What is Canadian PNP program? Countrywide visas is a fastest growing Immigration consultancy with a large devoted team of Immigration experts providing, its clients a hassle-free, professional services to file their applications for various immigration programs. You are welcome to call us or send us an email with your immigration questions and inquiries. You may contact us on 011-41075840 / 011-41045840 or leave a mail at info@countrywidevisas.com.You may also fill the Technical Assessment Form for free to get a call back from our Immigration Specialists. All you need to do is fill an assessment form and let our immigration experts assist you over the phone call or by meeting you in person and give you the best available options to fulfil your dreams of settling abroad.